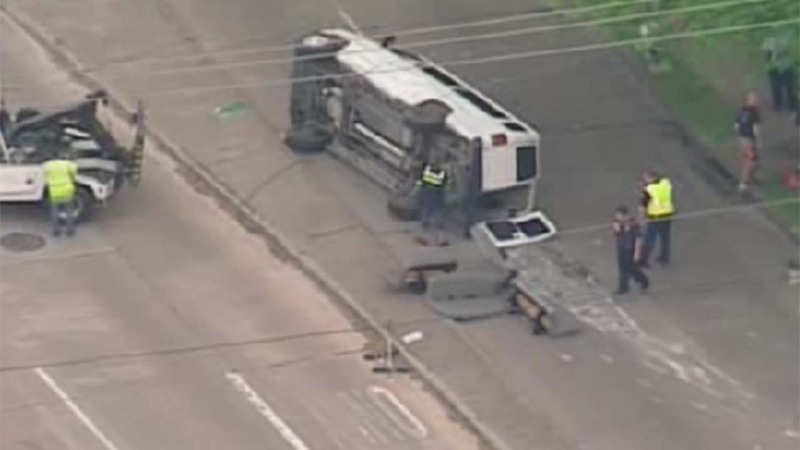 HOUSTON (KTRK) -- Thirteen people were hurt when an adult day care van rolled over this morning in northwest Houston. The accident happened on Pinemont Drive near Highway 290 around 8am when the van was hit by a small car. Ten people had minor injuries and three others with serious injuries were taken to the hospital. No one was killed. The windshield of the van shattered. Wreckers have pulled the van right side up. The cause of the accident and condition of the victims is unknown at this time.